His stablemate Dortmund is currently at betting odds of 4-1 at Bodog and the colt is undefeated in six career starts. The colt is a son of Big Brown, who won the 2008 edition of the Kentucky Derby and came into the race undefeated. Dortmund swept the three Derby preps in Southern California - the Robert B. Lewis (G3), San Felipe (G2) and Santa Anita Derby (G1). The third choice in early Kentucky Derby wagering is Carpe Diem, who dropped slightly from 7-1 last week to his current price of 13-2 at Bodog. The colt is trained by Todd Pletcher, who is a seven-time Eclipse Award winning trainer but just 1 for 40 in the Run for the Roses. The colt has won four of his five career starts and comes into the race perfect in two starts in his three-year-old campaign. He came back off a four-month break to win the Tampa Bay Derby (G2) and in his most recent outing won the Toyota Blue Grass (G1). Pletcher will be busy on Derby Day. He saddles Materiality (14-1), Itsaknockout (40-1) and possibly Stanford. Madefromlucky qualified for the Derby by cracking the top 20 in the Road to the Kentucky Derby points standings, but Pletcher said he will point the colt toward the Peter Pan Stakes (G2) at Belmont Park on June 6. 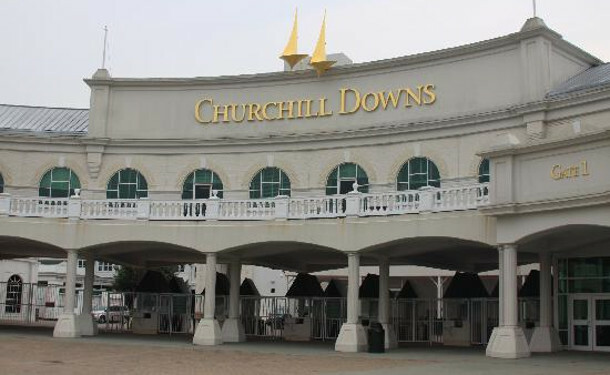 For a complete list of Kentucky Derby wagering odds click here. Looking to wager on the Kentucky Derby? Check out Bodog for a 100% sign up bonus and generous rebates on all of your horse betting action. Get back 3% of all straight bets and 5% on exotic wagers.